Compelling and disturbing, this book reveals how Whelan murdered his wife to claim a hefty life insurance policy, and how he faked his own suicide when he became the prime suspect for the murder. Young, handsome Colin Whelan was a magnet for women, who always fell for his seductive charms. Little did they know that underneath his cool exterior lay a twisted desire to kill. Behind the facade of normality lay a psychopathic mind struggling to control its homicidal urges. Having seduced and married his sweetheart Mary Gough, Whelan immediately began planning her brutal murder. While his young wife dreamed of a love-filled marriage, Whelan searched the internet for information on serial killers and the methods they used to strangle their victims. 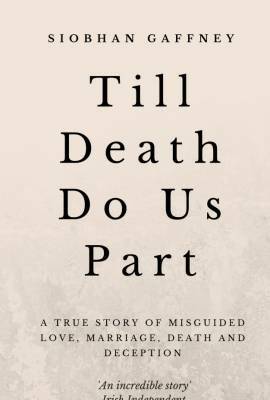 Till Death Do Us Part offers a fascinating insight into the true motivation behind one of Irelands most notorious murders, and is a horrifying story of love, lust, revenge and murder – all the more shocking because every word is true.